You wanted a beard…… Here it is! 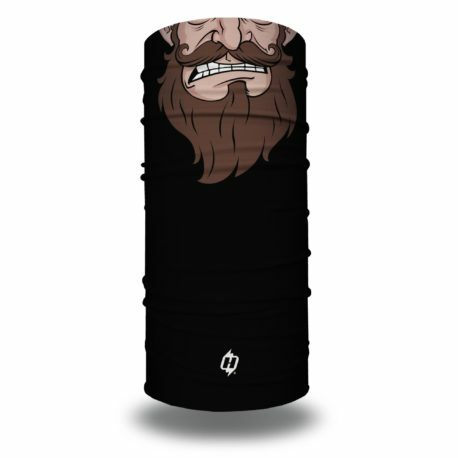 This rad and rugged Hoo is perfect if you can’t grow a beard or decided a long time ago you love the look of a beard but don’t want to deal with the hassle! Get your Hoo Billy on and rock this mask today! Love the hoo-billy rag! Easily breathable and good ventilation, love the material. My beard is longer than my new job normally allows. So they said if I cover it I wouldn’t have to cut it. So I’m covering it with this HOO-BILLY. If only it came with a redbeard. Hint hint. Love my Hoo-Billy !!! 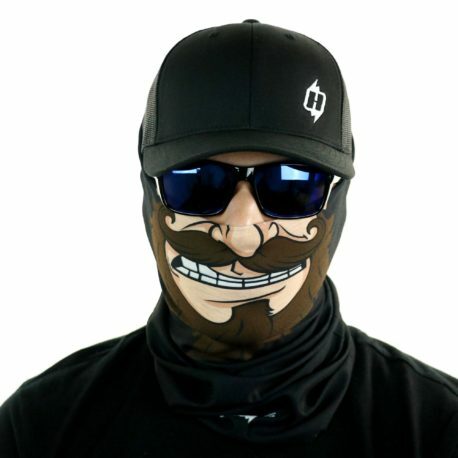 Great face protection, even better look. Friends love it. Great look and feel! I was very impressed by the comfort and I love seeing the smiles and laughs throughout the day when I wear it . Love the Hoo Billy and everybody that see’s me wearing it loves it too! I am quite satisfied with my hoo-billy, and the skull daddy. The skull daddy has already been a halloween hit!! I have recommended hoo-rags to my friends, and I plan to get more in the near future!! Awesome Hoo-Rag! Does what it is meant to do and an awesome Halloween accessory. Love it! 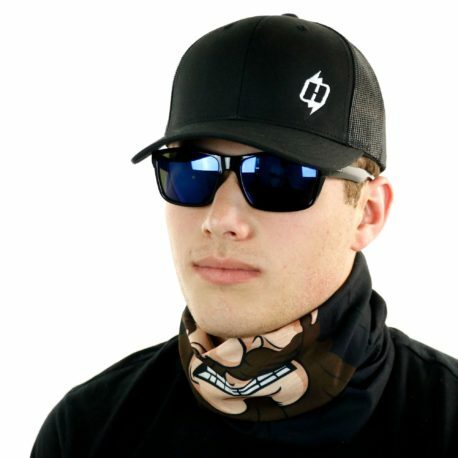 With this item I have tamed my beard envy and solved my burnt neck breathing in bugs while fishing. This whimsical Hoo-Rag is fun to wear, attracts many looks and smiles. I’m very happy with the versatility of this product, and the protection from the elements is a plus. Shipping was fast and free, and you can’t beat that.